In most cases, hands-on treatment only relieves pain for the very short term. 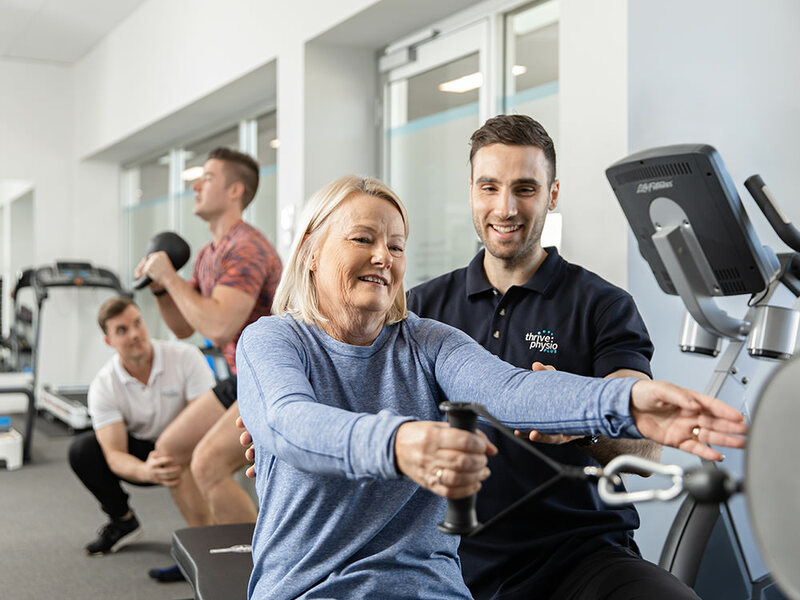 The second part of achieving and maintaining a healthy and pain free body is nurturing it through supervised exercise! 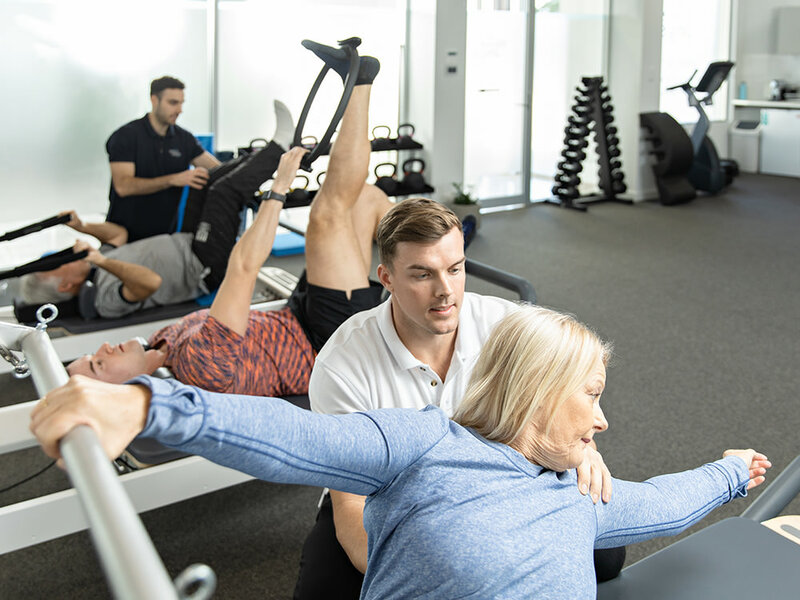 At Thrive Physio Plus we find when people undertake sustained periods of supervised-exercise they report less pain, improved function, and are capable of doing more with their bodies without feelings of tightness pain or restriction. 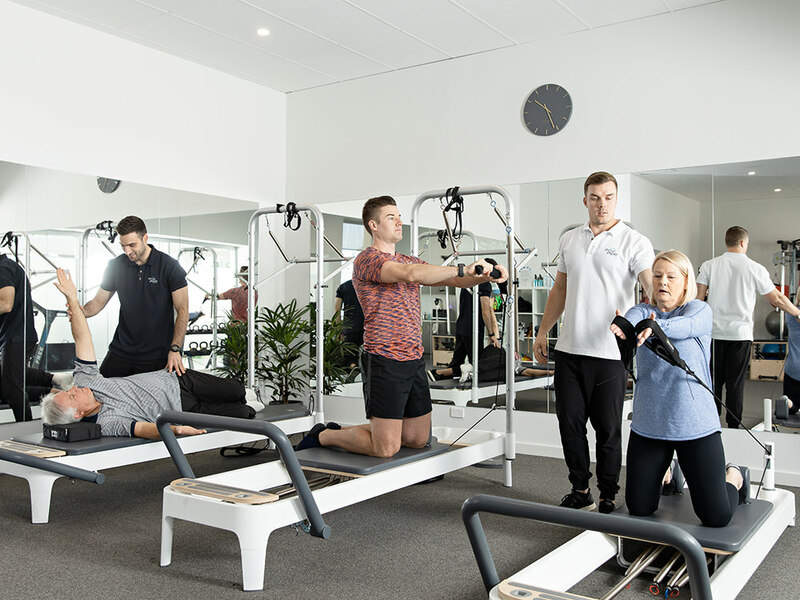 All classes are one hour in duration and run by Physiotherapists with a maximum of 4 participants per class. This means you’ll get close attention over the hour to ensure you’re performing the exercises as you should to keep you safe and get maximum benefit! We have a variety of equipment to keep you interested and progressing as your body adapts and improves – no pre-set programs! 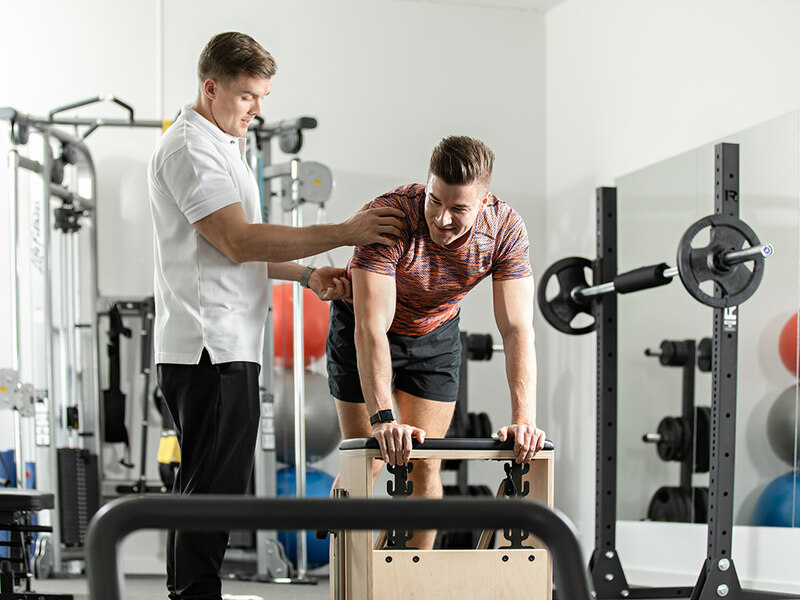 There’s no need to worry about setting up equipment or if you’re doing the exercise correctly, we instruct you and make sure you have the correct form. We’ll also be sure to tailor the difficulty of your session to your physical capability and goals to ensure you’re getting the most out of your session. 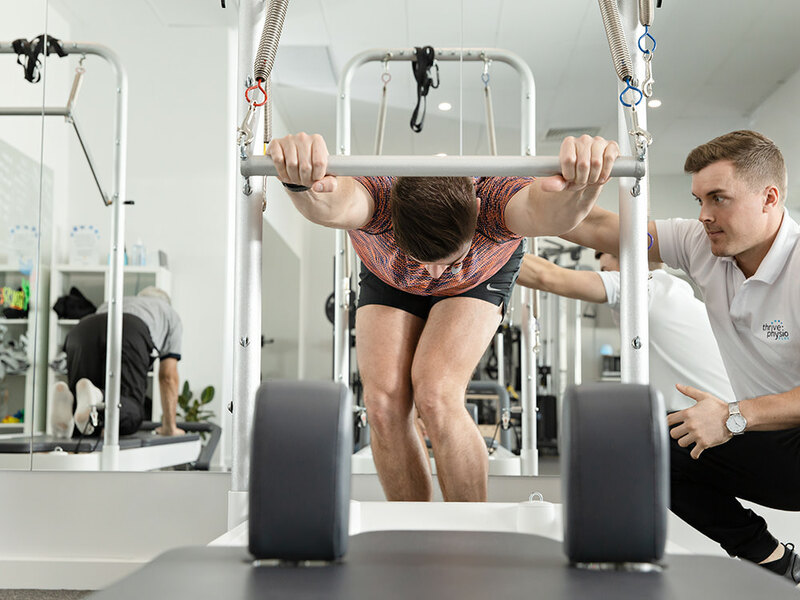 We use only the best, state of the art equipment to ensure you have the best exercise experience with us. We have people of all ages who attend including adolescents, the elderly and everyone in between with an approximate 50:50 split of males and females. 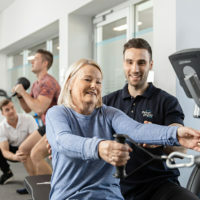 With morning, afternoon and evening classes on offer and appropriate for all ages, genders, goals, injuries, fitness levels and pre and post-natal, now’s the time to take control. Your body will thank you for it.